I’ve been living in France for almost eight years and in all that time, I’ve yet to make even one of these classic French pear tarts. I don’t think I’ve ever been in a bakery that didn’t have wedges of this tart in little paper footings, ready to take out and be consumed right away. So I guess because I could always buy one, why make it? But since I had a kilo of almond paste that I bought for another project, a batch of poached pears on hand, and an unbaked tart shell waiting it’s turn in my freezer, I decided to give one a go. Aside from the almond paste, I also had a jar of quick-candied sour cherries on hand from another baking project (if it seems like I have a lot of baking odds and ends on hand, welcome to my world…), so I used them as well, which is something I haven’t seen in any French bakery. I’m thinking of suggesting they use them on my next visit. Almond paste can be found in most supermarkets, although there’s a link at the end of the recipe to my favorite brand, which I used to buy in 10-pound cans when I baked professionally in America. Thankfully it’s available in smaller cans, although you can certainly use the almond paste that you can find in the baking aisle at most supermarkets. Here in Paris, I get my almond paste from G. Detou, a place that I don’t need any prodding to visit. Be sure to drain the pears well, blotting them dry on paper towels before you place them on the almond filling. You don’t want a lot of juice floating around in there. To glaze the tart I use a drizzle of the reduced pear poaching liquid. 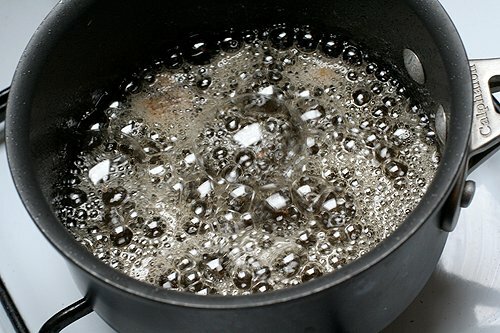 As I mentioned in the post on poached pears, people are scared of reducing liquids, for some reason. 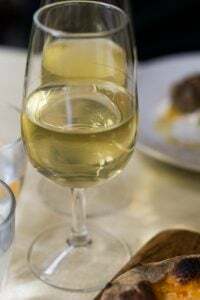 But if you serve this with a suave sauce of the thickened pear liquid flecked with lots of sparkly vanilla bits, as I did, the swooning around the table will be worth getting over any trepidation you might have about making a simple reduced sauce. If your almond paste isn’t very fragrant with the smell of almonds, add a drop or two of pure almond extract to the filling. You don’t want to dump a spoonful in, which would overwhelm the pears, but a tiny bit highlights the almond flavors.You can use canned pear halves packed in light syrup, and drain them well, in place of the poached pears, if you wish. 1. Preheat the oven to 375F (180C). Set the pre-baked tart shell on a baking sheet. 2. In a stand mixer, or by hand, beat the almond paste with the sugar and flour, until smooth. Some almond pastes may be drier than others. If yours is dry, just mix until the almond paste is finely-broken up. 3. Gradually beat in the butter, until smooth, then beat in the egg and the egg white, the almond extract, and the liquor. 5. Fan the pears out evenly over the almond filling, then press them in slightly. 6. Bake the tart for about 40 to 45 minutes, or until the almond filling between the pears has browned. 7. Cool slightly before serving, or serve at room temperature. Glaze, as desired. Variations: To make a Pear & Cherry Almond Tart, embed 25 candied cherries, sweet or sour, into the almond paste, before you fan the pears out over it. I advise against using very sweet store-bought candied cherries, although the Fabbri ones from Italy are scrumptious. 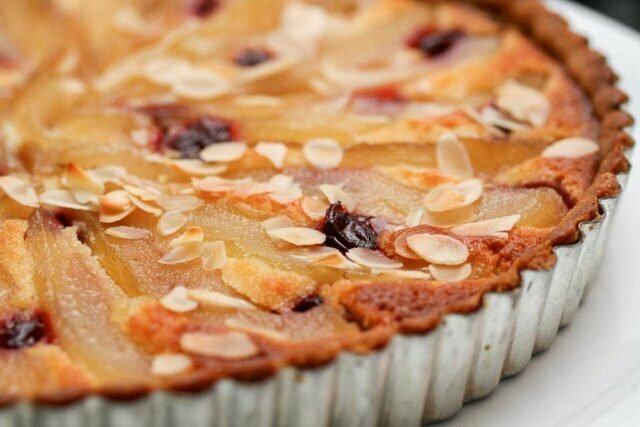 Another variation is to sprinkle the tart with 3 tablespoons of sliced almonds before baking. You can also use poached quince in place of the pears. Note: I’m a fan of Love’n Bake almond paste, which is produced by a company that makes almond paste for professionals. 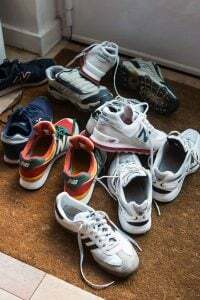 However I’ve used brands available in supermarkets, which are fine to use. Storage: The almond filling can be made up to one week before and kept refrigerated. It can also be frozen, for up to one month. Once baked, the tart can be kept at room-temperature, covered, for up to three days. Update: There’s been a spate of inquiries in the comments about the difference between marzipan and almond paste. Marzipan has more sugar since it’s meant to be used for candy making, molding, and confectionary work. Almond paste has less sugar and is what should be used in this recipe. More information can be found at Love’n Bake’s FAQs and at Odense’s FAQs. bravo, quelle belle amandine ! I love the idea of the sour cherries, I guess that it’s a way to wake up the flavors with their tangy note. But what I prefer is the red dots they make on the amandine surface : it looks like bicolor fireworks. Wonderfull. Would almond paste be sold as marzipan in the UK and Ireland? Or maybe that’s the next best thing…. Claire: There are recipes but it’s very difficult to get the almonds smooth enough as they do in the professional-strength machines. Some folks use ground almonds in their recipes for tarts such as these, though I prefer the almond paste. Anna: Marzipan has more sugar than almond paste since it’s meant to be pliable and used for modeling & candymaking, not baking. You can find other answers, and more about the proportions, at the FAQs at the American Almond Products website. Tom: I don’t know what products are available elsewhere in the world, aside from the US and France, but glad you found sources on the internet. Baking supply shops in many parts of the world, and ethnic food shops which feature Arab products, should have it as well. Try to find almond paste with at least 30-40% almonds in it. Most in France that I’ve found has around 33% and the stuff sold in US supermarkets, which I like a lot, is around 45%. I don’t know that dessert can get much better than a tart with almond filling (I love the addition of the cherries!). My source for almond paste in the US is “lepicerie.com”. They carry the Mandelin brand, both 66% and 50% almonds. It’s a great source for many other hard to find pastry ingredients as well. This looks positively divine. I was just researching apple pastries on the Chocolate and Zucchini site a few hours ago to link for a post on heirloom apples. And now look at this – you have Pears! I simply can not get enough of orchards and fruit right now. OK David, so it’s on to pears next. I do love fruit tarts. Thank you so much. I wish I could just pull it out of the screen. Great recipe to adapt for a GF version. We poached some pears this weekend, following your very excellent instructions. Turned out fantastic. Oh…this looks so good! I’ll definitely be making this next weekend. BTW, what’s the technical difference between marzipan and almond paste? GF: Although I didn’t try it, I’m certain that cornstarch could be used in place of the flour. If you have a recipe for a gluten-free crust, this is perfect. 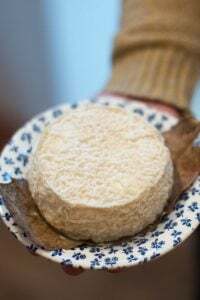 Lorna: You can find the answer in the previous comment that I responded to, and I added some links at the end of the recipe for FAQs about almond paste and marzipan. i would like to ask if the ‘almond paste’ is ‘marzipan’ in german? Boy, does this scream out Thanksgiving dessert, or what! Oooh, I can’t wait to try this! Amandine tarts are my favourite and I made your recipe for poached pears the other day (although we ate them all, so I’ll have to make another batch). Thanks for this! This looks so beautifully delicious. I do love tarts and they’re just not that common here in the US (although I also love the US pies). Pear and almond is such a good combination. I’ve also made a pear/almond/chocolate tart before: essentially add cocoa to the almond filling. I’ve never added sour cherries, but I wonder if cranberries could also be used… I’m in a cranberry-mood now that they’re in season. 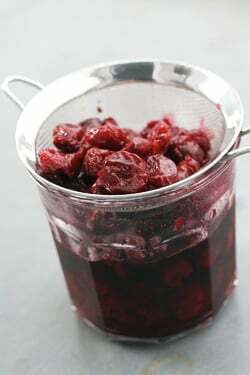 I just might try this recipe with cranberries in the next few weeks. I love sour cherries so much. Get a huge batch every summer when I vacation in Northern Michgan. Divine recipe. Thanks, David. Thanks David, my up-coming weekend dessert decision is made! I love the flavour of almonds and looking forward to this. I do this with the almond custard consisting of: 1c almond butter, 1c honey, 3 eggs for an 11″ tart. It’s good. Also I’ve done alot of GF tarts. For the shell use whole eggs instead of just yolks (the egg whites are a good binder) and use a mix of flours. GF shells seem to collapse more when you bake them blind, but you can deal with it. I haven’t baked much with pears, but I do love them and I love cherry and almond as a combination, so I do want to make this. I happen to have a part of a jar of Trader Joe’s Morello Cherries in the fridge. Do you think those would be able to be candied in their own lightly sweetened juice with the addition of more sugar and lemon? I’d really like to use those up. 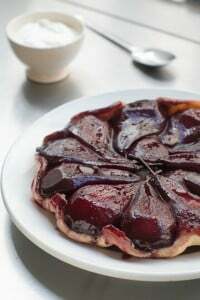 I was already planning on doing the poached pears and now the tart is at the top of my list! Thanks for the quick primer on paste vs. marzipan b/c I thought they were the same thing. The Love”n Bake website may just become my new favorite foodie site…like I needed one of those! David this looks excellent!! I hope to try your recipe! mmm.. simple elegance.. i think I have to make this now.. I have a bidg tube of odense almond paste that I have been wanting to use! Oh dear, I am trying to read your post, but my head is spinning from the thought of having a kilo of almond paste around. Also, for those trying to make your own almond paste or ground almonds in a mini chopper or small food processor: Don’t. Just buy it. I think I just ruined my favorite stick blender (or at least its mini food processor attachment blade) by trying to grind whole toasted blanched almonds in it. My tart is in the oven, and I can’t wait to cut into it when it’s done! Thanks for the recipe! It looks beautiful, and I’m sure it taste even better. I’m so excited I found your blog after reading your new book. Thanks again! Okay, now I’m starving! This looks fantastic & very simple to convert – Love it! Yeah, I also ALWAYS keep a tart shell, almond paste and poached pears on hand. In fact, those who don’t are seriously uncultured! I would hate to be THEIR friend! P.S., I love that you use kilos. You’re SO French! Francis-Olive: It just so happens that I did have them all three at once…and the cherries, too! Seth: I don’t have much experience making gluten-free crusts, but one could also butter a baking dish and simply bake the pears (and cherries, if desired) with the almond filling. Or use individual dishes. Crumbled amaretti, a gluten-free variety, would be nice strewn over the top for a bit of flavorful crunch. David, reading your perfect vignettes on food and Paris every day is a treat better than any tart. I sneak into to your site after checking the weather in the Sydney Morning Herald online. Thank you for such a euro-charming start to my corporate day in the Emerald City. I usually stop at poached pears, maybe a creme anglaise to go with. Now another good use of the oft negelected tarte pan. Thanks. Sublime….I almost cried when I read, which is how I know that this will be a wonderful recipe (I may be taking my pastry a bit too seriously…) Thank you for sharing. This reminds me of a pear chocolate tart that I had eight years ago last week on my honeymoon in Paris. I’ve been trying to figure out that one ever since. My husband turned me on to your blog recently, and I can’t get enough. You are my daily trip to Paris. Thank you. Your recipes and photos are always amazing!…I have tried a lot of them succesfuly but this is the first time I leave a comment. I will definately try this one too! Thank you very much for all your precious posts! Oh wow, how delicious! I have a gluten-free tart crust I could bake up along with this, yum! The candied cherries are a great addition, and the reduced sauce with vanilla does sound swoon-worthy! King Arthur Flour sells Love ‘n Bake almond paste online (and pistachio paste too!). David, I’m thinking of making this as a strudel using all butter puff pastry…any pitfalls you can think of that I just look out for…and what adjustments if any would I need to make to the filling? Yet another great tart recipe. 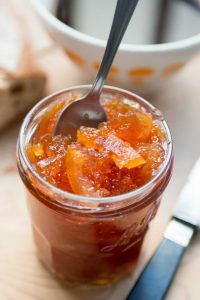 I would love to try this recipe next summer with another great fruit well suited as a companion to the almond: the peach. Great tarte. I was thinking of using some griottes on top instead of the candied cherries. Hmm. i have dried cherries. do you think i can soak them and use them? sorry if its a silly question. I’m hopping over to Paris in a few weeks and the first thing I intend to buy is a slice of pear and almond tart. It isn’t the same anywhere else. Though I might be brave and try making it myself now. I just finished your book The Sweet life in Paris, and i just want to say “Thank you!”, for sharing with us such interesting things about living in Paris! Also, thank you a lot for your recipes and for your tips, my husband and my friends are so exited every time i do sweets that i learn from you. I am on a bit of an almond kick right now and this seems a perfect recipe to wait until I get the first ever pears from my orchard which hopefully will be this year. If the late frosts this Spring haven’t killed it off. I know, and I lvive in the East Bay, with no shortage of sources for almond paste or whatever speciality food item I could think of. It was a really stupid idea. I am so glad that gfpatisserie chimed in up there about this tart being GF-adaptable! I’m off to the site now to see what I can find. Thank you, gfpatisserie! Oh, anything with almond paste is just dreamy. That looks beautiful! the flavor of almonds is addictive, I shall try with almond paste, until now always used almond flour (amandes en poudre). And your quince version was a revelation to me. As for your cherries addition, very creative, bravo ! I love the combination of pears and almond – a winner every single time. 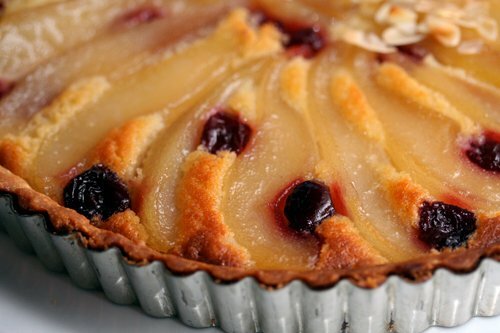 This tart looks just beautiful, a must make soon! Thanks David, that reminds me most of the world’s almonds now come from the same place you do: California produces 80% of the world’s almonds and 100% of the U.S. commercial supply according to http://en.wikipedia.org/wiki/Almond which omits to mention the paste form that has got us all foaming at the mouth! Our mixer broke so I did the whole thing by hand, and it still turned out great – got absolutely rave reviews and we’ll do again for sure, trying variation on the pears. We’ll be in Paris next weekend and looking forward to trying out your website’s recommendations. It’s a great find! Looks divine. I’m going to bring this recipe back home with me for Christmas. Hi, David: Thanks for this recipe and also for the tart shell recipe. I made this yesterday and it is terrific! 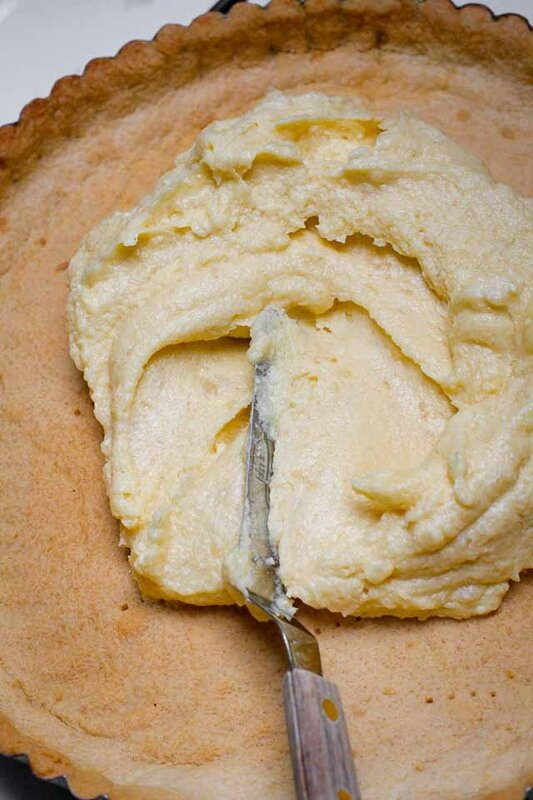 The pie crust is unbelieveable, so crisp and flaky. I forgot to put the sugar in, but it was a nice contrast to the sweetness of the almond filing. I’ll be making this again next week for thanksgiving. Once again, love your blog amd miss Paris! 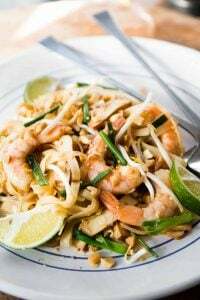 Great recipe, it makes me hungry and love your blog. oh, i may have to try this with my extra apples instead. the pictures are so beautiful. Yeah…it’s been decided. This is *so* my birthday cake. I always make my own almond paste in the food processor. It may not be as smooth as commercially made, but it sure is delicious and works fine in any recipe that calls for it. This tart looks absolutely beautiful, and I just happen to have some homemade almond paste in the freezer. No cherries around my kitchen right now, but I think dry cranberries would add a nice touch of color. 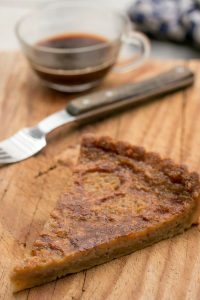 I cannot wait to try out this recipe as well as your Bourbon Chocolate Pecan Pie~ both for Thanksgiving! I’m visiting my father in Valladolid and I saw Almond Paste at the Eroski supermarket here. Maybe because it’s about Christmas, so it’s available, but hopefully you can find it in Madrid. It’s called Pasta de Almendra, brand: Delaviuda and sold in small boxes of 100g size. Ingredients indicate it is 45% almonds, and then sugar, glucose/fructose syrup and water. Good luck finding! even the pears alone look perfect. noah: You can use any kind of liquor you want. 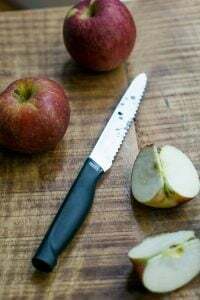 I can’t always list all the options in recipes (and most people have rum, so I offered that as one) but if you’ve got some pear William you need to use up, you can certainly use it—or send it to me! Ok. I’ve made this tart twice now. The first time, I used pears I’d poached myself, and used rum and the liquor. The second time, I used canned pears and pear brandy. The pears made a big difference. Both tarts were excellent, but the pears I poached myself had more flavor and a lot more texture. I really couldn’t taste much difference from one liquor to another though. I expected to – the one time I made ice cream with pear brandy it was actually quite overpowering. Maybe because of the timing it had less impact? I made the filling a few hours before makign the tart shell. Oh, and as for sending you the extra brandy, David – not gonna happen. Not as long as you live in Paris, land of the eau-de-vie, and I have to lug a bottle of pear brandy home on a 2-hour train ride from manhattan! Help, that looks so yummy ! Will help me seduce my boy friend tomorrow. He loooves cake … and meeee. This tart is absolutely sublime and a huge hit whenever I’ve made it. Being summer right now, I was wondering if I could substitute pears for nectarines with blackberries and if so, do they cook for the same amount of time (don’t want the fruit to be mushy), or maybe add the blackberries afterward? Much thanks. 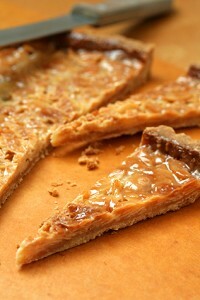 I am new to your lovely blog and found the link to this tart. I tried it this week and oh how wonderful! I used some wonderful dried tart cherries (I live in WI and they are plentiful). The crust was so easy and works perfectly. Everyone loved it- thanks! After following your amazing recipe for carnitas, I’ve seem to become addicted to your blog. My husband is happy! This tart is SO good! 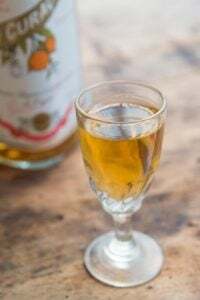 I added a little Majorcan Almond Liquor instead of rhum – since the only other liquor I had was gin – and since it’s pretty obvious that almond goes with almond. Thank you so much for sharing your recipes and thoughts! I was browsing a bookstore with my newfound passion for baking and your books somehow just spoke to me! I cannot wait to try this beautiful dessert to add variety to my typical family thanksgiving menu this week! My only problem is trying to find a typical supermarket in the midwest that carries the loveNbake almond paste. So far no luck but if anyone can suggest a place in Indianapolis feel free to post a reply. This was delicious! A student actually recommended it to me, and it was perfect. Thanks for sharing! She also loves your kouign amann recipe, so maybe I will brave that next! Oh, David… this was breathtaking. I’ve had a can of almond paste in the cupboard for months, and this was worth the wait. Like a few other bakers, my tart crust broke apart, but I patched as best I could and continued; I did use white whole wheat flour in place of the AP, so there’s that. For the filling, I added some Meyer lemon zest (they’re in season! all right!) and a big pinch of salt, then spread the batter over fresh cranberries I’d poured into the shell. So delicious. I’m fairly certain I’ll be eating this for breakfast. With yogurt.